I don’t think I’ve ever felt more content than when I sat in a weird French library café, drinking coffee and eating cheese and pickles with my best friend. We had wandered around the back streets of Lille, looking for the cheapest place to eat, when we came across this beauty. The place was small and cluttered with thousands of books, and we were greeted by one of the warmest faces. She introduced herself, and I suspect that she immediately knew we were English, and thank God she could speak it. We were alone, except for one other man who was drunk at the bar, and had a glass of whiskey in his hand. He turned to us and spoke, Mara knows French but his words were too slurred, so we just smiled at him politely. Lille’s beautiful cobblestone streets held many restaurants and bars, scattered everywhere. As we walked on the uneven ground we saw huge animal statues on every new street; a dragon, and fibreglass elephants. The city was vibrant, and full of life. One of the things I was most looking forward to was the food, and I wasn’t disappointed. On our first night we found a cheapish restaurant, and unlike in England, they had outdoor covered areas with strong heating lamps on, so we chose to sit outside. I picked a pizza from the menu, I wasn’t sure what I’d be getting as the only word I spotted was Salmon. The waiter had to run across to another restaurant and bring someone over to take our order in English. I’m sure the pizza was bigger than the large one at Domino’s, a salmon pizza, covered in cream. I felt sick just looking at it, but it was gorgeous all the same. Our ventures that night led us from a lively part of the city, to a quiet street. We had been directed there as a place to drink. Looking around I thought we had gone the wrong way, but then we spotted two doormen in the distance. Now this place was different to anywhere I’ve ever been. We were led down the stairs to an underground basement. When we walked in, I didn’t expect to see what I did. There was a round bar in a circle, with the barmaids in the middle, a dance floor, and a piano. We watched in amusement as people jumped up on the piano to play, with a remix of rave music in the background. Lille is definitely not a tourist place but the people there couldn’t have been more accommodating. It was rare if we found anyone who spoke more than just a few words of English, but every person was happy to try and help direct us. With Mara’s little bits of French, we were able to stop strangers on the street, and ask them where to find the best places to go. I highly recommend this instead of looking at travel magazines for tourist attractions. Asking the locals is the best possible thing to do, in any circumstance. And this led to our next venture. So what did two English girls do other than sight-see in France? We drank. The next day, as the British do, we decided to cure our hangovers with more wino at lunch time. We talked and talked and had our mandatory heart to heart in the warm smoking area of a cosy restaurant, until time took us right past nine o’clock. We decided to try and find some clubs. Wandering far into the night with no real clue of where to go, we stumbled into a group of girls and a guy. They were from Dubai. One girl, who understood better English, translated between us and her friends as we came along to wherever the night was taking them. When we got there it was exactly what we were looking for; a street buzzing with people smoking outside, and pounding music echoing through the streets. We drifted off into the night with these strangers, who turned out to be some of the nicest people we’d ever met. We discussed British TV shows and lied about being from London, much to their excitement. We arranged to meet up for lunch the next day with all of them, not realising how drunk we were, and agreed, feeling sure that we would make it. We didn’t, and instead we spent our last day asleep in Mcdonald’s. 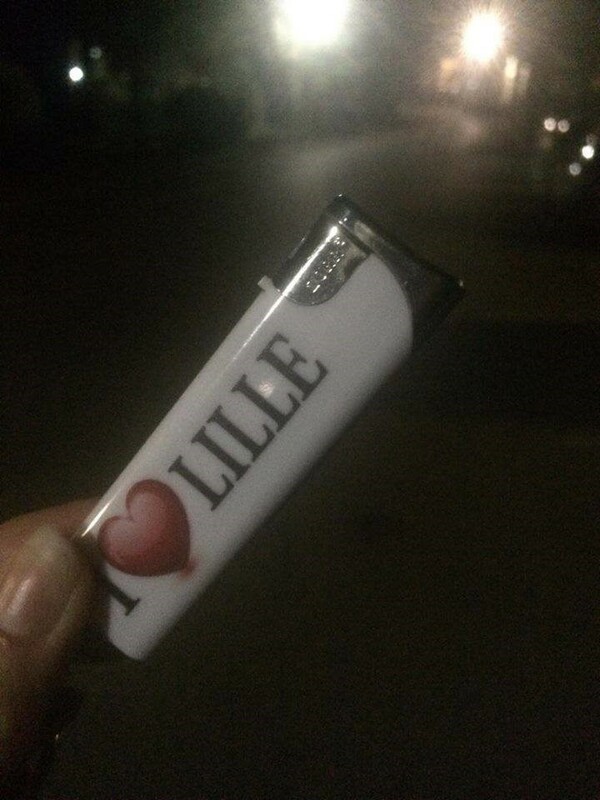 That night we passed our Lille lighter around several hands, and lit cigarettes under this beautiful, foreign city. One I hope to visit again.